Buon giorno from Milano! I'm on the last leg of my journey and finally have a bit of time to wrap up this post. I wanted it to go out last Friday but all the trip prep just made it too crazy. It's weird not being immersed in all the Black Friday madness (although I saw Mango in the train station was having a Black Friday sale - maybe I should have stopped!!). I can't wait to fill you in on my adventures over the next couple of weeks! 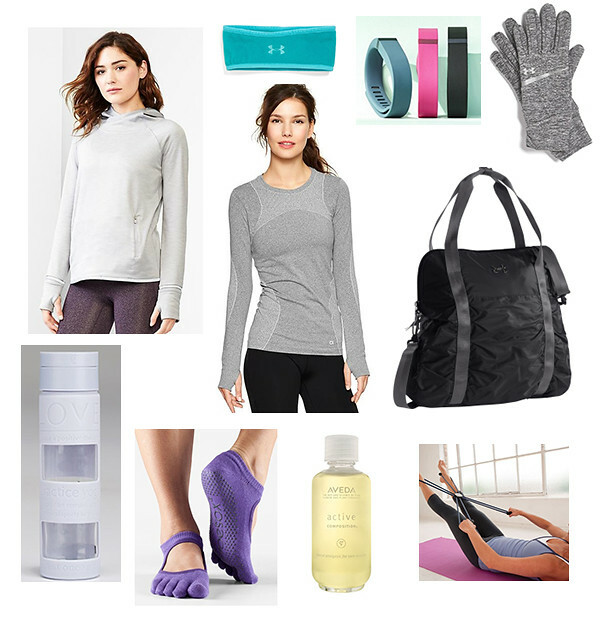 Until then, I'm super excited about today's gift guide because it's all about fitness and cold weather gear (so appropriate for working on being #weatherproof for all those early November Project mornings). As you know fitness has become a much bigger part of my life these days (and I can't wait to get back to working out after all this French and Italian food). I've included some things for outdoor workouts/running, the Gaiam reformer for working on the core indoors during the cold months and those awesome non-slip barre socks (that I should probably own by now...). Would love to hear what you're scooping up for that fitness buff in your life!